Labor Market in the Era of Globalization, PACfDR, Chicago-Gdansk 2003, ISBN 83-915508-0-X, ed. Rola kapitału ludzkiego w rozwoju gospodarki globalnej, University of Gdansk, Gdańsk 2003. Labor Market in the New Millenium, Second Annual Conference, PACfDR, Chicago-Gdańsk 2002, ISBN 83-88829-48-3, ed. Labor Market in the New Millenium, PACfDR, Chicago-Gdańsk 2001, ISBN 83-88829-24-6. ed. Edukacja czynnikiem rozwoju gospodarczego, Wyd. A.Marszałek, Toruń 2000. 1. Durable assets of Polish Educational System. Condition and Perspectives for development, University of Gdansk, Gdansk 1992. 2. About importance development sciences and education, University of Gdansk, Gdansk 1995. 3. Unemployment among high schools graduates, University of Gdansk, Gdansk, 1995. 4. Transformation while unemployment in the midst of graduates schooling, University of Gdansk, Gdansk 1995. 6. Democracy and unemployment as a socio-economic phenomenon in Poland. - Paper on Alliance of Universities for Democracy Conference, Prague, Czech Republic, November 3-6, 1996. 8. Democracy and unemployment as a socio-economic phenomenon in Poland, AUDEM, Perspectives in Higher Education Reform Vol.6. 1997. 9. Training and retraining courses- most effective form of obtaining new jobs and influence on educational system, Paper on Alliance of Universities for Democracy Conference, Warsaw Poland, 1997. 10. The Rationale for Retraining in the Context of Structural Unemployment in Poland with Reference to the Voivodship of Gdansk, University of Gdansk, Gdansk 1997. 11. Educational Changes in Poland in a Time of Transformation - Paper on Summer School of Education, Budapeszt 1998. 12. Training and Retraining Courses: The Most Effective Form of Obtaining New Jobs and Influencing on Educational System, AUDEM, Perspectives in Higher Education Reform Vol.7, 1998, The University of Tennessee. 13. Using computers in negotiations, Pieniądze i Więź, nr 3, 1999. 14. Wykształcenie a dochody pracowników w krajach OECD, Pieniądze i Więź, nr 3, 1999. 15. The Polish Educational System in a Time of Transformation, AUDEM, , Perspectives in Higher Education Reform Vol.8, 1999, The University of Tennessee. 16. Cost of Education, Pieniądze i Więź nr 4, 1999, p.177-180. 17. Issues in the Economics of Education in Poland - historical framework, Teoria Ekonomii, University of Gdansk, Gdansk 2000. 18. Rising Disproportions in Education in Poland, AUDEM, , Perspectives in Higher Education Reform Vol.9, The University of Tennessee, October 2000. p.125-130. 19. Unwanted employees ?, Pieniądze i Więź nr 8, 2000, p.139-144. ISSN 1506-7513. 20. Costs and Efects of Education, Transport Morski Polski w zintegrowanej Europie, Zeszyty Naukowe Uniwersytetu Gdańskiego, p. 203-209, 2001, ISBN 83-86230-91-6. 21. Human Capital in the Era of IT, Pieniądze i Więź nr 10, 2001, p.81-85. 22. Human Capital Creation in the System of Life Long Education, Pieniądze i Więź nr 11, 2001, p.163-168. 23. The Creating of Human Capital in the Permanent Education, Labor Market in the New Millenium, PACfDR, Chicago-Gdansk 2001. 24. Education for Future, Pieniądze i Więź nr 13, 2002, p.108-112. 25. The place of tourist services in the civilisation of information science, [in:] The role of tourism in economic growth in Poland and Croatia (ed. Jausz Żurek), University of Gdańsk, 2002, p.51-55, ISBN 83-88829-40-80. 26. The European Union’s Migration Policy, Labor Market in the New Millenium, PACfDR, Chicago-Gdansk, 2002, ISBN 83-88829-48-3. 27. The Labor Force Migration in the Globalizing Economy, Pieniądze i Więź nr 15, 2002, p.112-117. 28. Wyrównywanie szans, Vivat Academia nr 1, 2002, ISSN 1428-3123. 29. Education in Tomorrow’s Society, AUDEM, Perspectives in Higher Education Reform Vol.11, p.173-179, 2002, ISBN 1-881515-52-4. 30. The crisis of the pension system, Pieniądze i Więź nr 16/17, p. 287-292, 2002. 31. The Role of Universities and Colleges in the Process of Permanent Education, AUDEM, Perspectives in Higher Education Reform Vol.12, Texas Review Press 2003, p.323-326, ISBN 1-881515-52-4. 32. A Comparative Study of the Impact of Leader-Member Exchange in Two Samples: U.S.A. and Poland, Labor Market in the Era of Globalization, PACfDR, Chicago-Gdansk 2003, ISBN 83-88829-48-3. 33. Usługi turystyczne w czasach przemian cywilizacyjnych, Zeszyty Naukowe UG, Gdańsk 2003, s.145-151, ISBN 83-88829-88-2. 34. Employee Involvement and Shared Rewards Programs in the United States and Poland, by Scott D., Grodzicki J., Beck E., International Conference of the Academy of Business and Administrative Sciences, Montreux, Switzerland 2004. 35. Changes in the Group Social Activity of Poles, Management In the non-profit sector, The Management Centre Publications, Lefkosa 2004. 36. Program poprawy efektywności metodą Scanlona, Pieniądze i Więź nr 22/2004, ISSN 1506-7513. 37. Some Remarks on the Process of Implementation of Two-Level Studies at the University of Gdansk, Bologna and Beyond - Changes for Business Education, European Council for Business Education, Krakow 2005, ISSN 1534-9373. 38. The LMX Method in Organizational Relation Research, Pieniądze i Więź nr 29/2005, ISSN 1506-7513. 41. Challenges for Learning Organization, Pieniądze i Więź nr 34/2007, p.43-46, ISSN 1506-7513. 42. Miejsce etyki w kształceniu dla potrzeb gospodarki, Studia i materiały Instytutu Transportu i Handlu Morskiego, UG 2007, ISBN 978-83-7326-520-2. 43. The place of Ethics in the Global Economy, Pieniądze i Więź nr 36/2007, s.9-13, ISSN 1506-7513. Grodzicki J., (Principal Coordinator). Support Grant, US Labor Department. Collaborative support program between University of Gdansk and Loyola University to establish an Institute of Industrial Relations program in Gdansk, Poland. August 1999 - April 2002. Grodzicki J., (Principal Investigator). State Committee Scientific Research, 2002-2004. Title: Labor Market in the context of globalization. 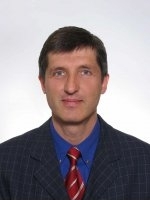 Grodzicki J., (Principal Investigator). Research Grant, Faculty of Economy, University of Gdansk. 2002. Title: Education in the context of ageing society. Grodzicki J., (Principal Investigator). Research Grant, Faculty of Social Sciences, University of Gdansk. 2000. Title: Disproportions in education in Poland. Grodzicki J., (Principal Coordinator). International cooperation joint project Grant between University of Gdansk and Appalachian State University, 1999-2001. Title: Intercultural communication in the context of globalization. Grodzicki J., (Principal Investigator). Research Grant, Faculty of Social Sciences, University of Gdansk. 1998. Title: Unequal earnings on the Polish labor market. Grodzicki J., (Principal Investigator). Research Grant, Faculty of Social Sciences, University of Gdansk. 1996. Title: Theoretical aspects of Social Economy in the contemporary literature. Member of Institutionalization Team of the Local Partnership Model in Poland, US Department of Labor, Polish Ministry of Labor, 2002-2004. Organizer of Summer School of Intercultural Communications, Gdansk 1998 - 2002. Grodzicki J., University of Gdansk as a Open University, AUDEM (Alliance of Universities for Democracy) Conference, Katowice 5-8.11.2006. Grodzicki J., Realization of guiding of the Bolonia Declaration at the University of Gdansk, Dilemma of the two levels of University Education, Łódź, June 16-17, 2005. Grodzicki J., University Partnerships for Education and Citizenship, American Democracy Project, American Associations of State Colleges and Universities, Portland, June 15-16, 2005. Grodzicki J., Experienced from initiation of two levels of University Education in the University of Gdansk, 10th Annual Conference of the European Council for Business Education, Kraków, 10-12.06.2005. Grodzicki J., University Partnerships for Education and Citizenship a project of the Alliance of Universities for Democracy, The role of Non-Governmental Organizations in the field of Education for Democratic Citizenship, Council of Europe, MENiS, Warsaw 22-24.04.2005. Grodzicki J., International Universities Cooperation in the Context of Bolonia Process, International Cooperation in the field of vocational education, Katowice, April 20-22, 2005. Grodzicki J., Ethics in Business Education, Nowadays of the Pedagogical Problems, Sobieszewo, December 13-14, 2004. Scott D., Grodzicki J., Beck E., Employee Involvement and Shared Rewards Programs in the United States and Poland, International Conference of the Academy of Business and Administrative Sciences, Montreux, Switzerland, June 12-13, 2004. Grodzicki J., Changes in the Group Social Activity of Poles -Second International NGO Symposium, Nicosia, December 5-6, 2003. Varma, A., & Grodzicki, J., A Comparative Study of the Impact of Leader-Member Exchange in Two Samples: USA and Poland- International HR Conference in Cork, Ireland, June 7-9, 2003. Grodzicki J., The European Union’s Migration Policy -Labor Market in the New Millenium, Gdańsk, April 13-14, 2002. Grodzicki J., The Creating of Human Capital in the Permanent Education System -Labor Market in the New Millenium, Gdańsk, March 17, 2001. Grodzicki J., Unequal Access to Education in Poland -Tenth World Congress of Social Economics at Emmanuel College, Cambridge UK, August 6-9, 2000. Grodzicki J., The Polish Educational System in a Time of Transformation - Alliance of Universities for Democracy Conference, Nitra-Slovakia, November 8-10, 1998. Grodzicki, J., Educational Changes in Poland in a Time of Transformation - Summer School of Education, Budapest June 8-19, 1998. Grodzicki, J., Training and retraining courses- most effective form of obtaining new jobs and influence on educational system, Alliance of Universities for Democracy Conference, Warsaw Poland, 1997. Grodzicki, J., Democracy and unemployment as a socio-economic phenomenon in Poland. - Alliance of Universities for Democracy Conference, Prague, Czech Republic, November 3-6, 1996. Summer School on Social Justice -Warsaw Univeristy, Serock, 1993.